The Frequently Asked Questions on this page are organized by their target audience. Please browse the general questions as well as the questions specific to your program of interest. You must apply using the University's online application system. You can find this online application at https://www.albany.edu/graduate/apply-now.php. May I opt to submit a paper-based application? No; unless you are applying from a country or region that has little or no access to the internet, you must apply using the University's online application system. A pin is a randomly assigned identification number that will allow you to login to the University's online application system. It is important to keep your pin in a safe place as you will need to use it throughout the application process. What if I am not ready to submit an application? You may begin the application process at any time, even if you are not ready to submit all of the required materials. The online system allows you to login as often as you like to update and/or change your application. Only after you submit your completed application (including the application fee) will the application and supplemental materials be reviewed. How do I submit letters of recommendation and transcripts? Letters of recommendation may be submitted through the University's online application system. Once you have signed in to your online application, you will be asked to input the names and contact information of your recommenders. Your recommenders will then be contacted electronically and given a personal access code and password to log in to the system and enter their recommendation. If a recommender prefers to submit their letter of recommendation in hard copy, he or she should mail a sealed and signed official letter to the Graduate Admissions Office, including the Recommendation for Graduate Study Form. You may upload unofficial transcripts into the University's online application system. However, you must also send a sealed, official transcript to the Graduate Admissions Office. The transcript can come directly from the school or you can mail it (unopened) to the University. What is your GRE/TOEFL code? Applicants should use code 2532. Can my work experience substitute for the GRE requirement? The Department of Public Administration and Policy will consider GRE/GMAT waiver requests from MPA applicants who possess 5 or more years of relevant full-time professional work experience. However, if you wish to be considered for an assistantship or scholarship you must submit a GRE or GMAT test score. For more details, please review the GRE/GMAT Waiver Policy or email RockAdmissions@albany.edu. Note: This applies to MPA applicants only. Do you offer conditional admission pending higher GRE/TOEFL scores? I missed the admissions deadline, can I still apply? If you are an applicant to the MPA program and miss the February 1st deadline, you will not be considered for an assistantship or scholarship. You may continue to apply for admission until July 15th. If you are a PhD applicant and missed the January 15th deadline, we cannot guarantee that you will be considered for funding. However, we will continue to review applications until the cohort is filled. Can I defer admission and if so, for how long? Admitted students who need to defer their application term of entry will need to submit a request via the Graduate Term Change link. There is a $20 fee associated with this request and applications can be deferred for up to one year of the original application admit term. Please note, if you defer your admission, your funding status will be reconsidered with the pool of applications received for the term you are changing to. Yes! To schedule a visit, please fill out a Rockefeller College Campus Tour Request. What type of academic terms does Rockefeller College use? The college runs on a semester schedule. For more details, please view the University's academic calendar. Do you have any online or distance-learning programs? Starting this semester, many of the core courses in the Master of Public Administration (MPA) are being offered online. Many of the courses in the MPA program’s Homeland Security Concentration and Non Profit Concentration can be completed online. Most of the PhD programs need to be completed on campus. The College’s new Master of International Affairs (MIA) program utilizes synchronous distance learning, which allows students to take a portion of their master’s courses remotely. More information about how the MIA program uses synchronous distance learning can be found here. A limited number of core MPA courses are offered during the summer session. We generally do not offer any doctoral courses or upper-level electives during the summer. Can I apply for the summer semester? We do not accept applications for the summer semester, however if you are accepted for the fall term and wish to enroll in a course as a non-degree student during the summer prior to your accepted term, that typically is an option. Can I take classes in other schools at UAlbany? Yes, as long as the course is open, students may enroll in courses that are offered by other schools at the University. Most of the time, these are elective courses (for example, a student who is interested in health policy may choose to take an elective course through the School of Public Health). Any student who wishes to pursue this option will need to talk to his/her academic advisor to confirm the course will satisfy his/her degree requirements. Do you have dual degree programs? Yes, we have a JD/MPA program as well as a dual degree program with Bocconi University in Milan Italy. Limited on-campus housing is available for graduate students; for more information please contact the University's Department of Residential Life. Most graduate students live off campus; the Department of Residential Life maintains a housing registry to assist students in locating off-campus housing. What is your minimum/average GRE score for the MPA program? The Department does not have official minimum scores. Average GRE scores for admitted MPA students are the 64th percentile for quantitative and 58th percentile for verbal. The average score on the writing section is 4.5. Those averages are much higher for funded students. GRE waivers are available for qualified students. Please contact rockadmissions@albany.edu for a waiver request form. The Department does not have an official minimum GPA. The average undergraduate GPA for accepted MPA students is 3.3-3.7 out of 4.0. What is your average GMAT score? Because we receive relatively few GMAT scores, the percentile is considered rather than the raw score. Accepted students have generally scored above the 60th percentile. Can I submit LSAT scores instead of GRE scores? Yes, the Department will accept LSAT scores in lieu of GRE or GMAT for MPA applicants. Applicants who wish to apply using LSAT scores* should contact the Admissions Office at rockadmissions@albany.edu for submission information. *The LSAT may be accepted in lieu of GRE scores when an applicant has taken two or more quantitative courses at the undergraduate level and earned a B or better average in those courses. Scores must be less than five years old. Please contact the department at rockadmissions@albany.edu regarding details and course approval. Should my letters of recommendations be strictly academic or are professional recommendations acceptable? It depends on your experience. If you are a current undergraduate student or recent graduate, we would expect two academic recommendation. However, we understand that working professionals may only have access to professional references. We suggest that you choose the recommenders that can best speak to your preparedness for graduate school. How many graduate credits can I transfer in from another institution? A maximum of 24 graduate credits can transfer into the MPA program. Courses are considered for transfer on a case by case basis. Typically, we bring in about 80 MPA students per year. What is the percentage of international students in program? Typically, the percentage of international students in the MPA program is approximately 30%. Can I complete the MPA program part time? Yes, students in the MPA program can take classes on a full-time or part-time basis. Regardless of your intent to be a full-time or part-time student, the same application form is used. Can I work full-time while completing my MPA degree? Yes, many of our students attend the MPA program part-time while working full-time. Our MPA courses are offered almost exclusively in the evening, meeting once a week from 5:45 to 8:50 pm. How long is the MPA program (on full time and/or part time basis)? The MPA program takes two years to complete on a full-time basis. Part time students have up to six years to complete their MPA degree. What is the graduation rate for the MPA program? Our MPA program graduation rate is approximately 89%. The program is designed to be completed in two years of full time study. Over 65% of our students complete the degree within two years. The University allows students to switch between full-time and part-time study at any time, as long as their degree is completed within 6 years; this allows students the flexibility to pursue relevant internship and employment opportunities. For a detailed breakdown of program completion rates, based on our most recent NASPAA self-study (SSY) report, please see here. Is work experience a requirement for the MPA program? Work experience is not required for admission to the MPA program. However, any previous work or internship experience will be considered during the application review process. How many electives can I take? Students must complete at least five elective courses within their desired concentration. If desired, students may take elective courses in more than one concentration, based on their career goals. What percentage of students are employed in their chosen field? 100% of students are employed in their chosen field within 9 months of graduation. What is the cost of the MPA program? Do you provide assistantships or financial support for students? Yes, students may be considered for assistantships and scholarships within the Department. These are decided primarily based on merit. Please fill out an application for Graduate Assistantship/Fellowship and submit it through the online application system. Applications must be received no later than February 1st to be considered for funding. Deadlines and information regarding application requirements can be found at https://www.albany.edu/rockefeller/applymia. How does the MIA program use synchronous distance learning? The use of video and web conferencing software (e.g. Zoom), allows the MIA program to offer more classroom locations (from just about anywhere), an expanded range of courses and greater opportunities for practitioner guest lecturers to contribute to student learning and preparation for a changing professional communication environment. For more information please see our synchronous distance learning page. Is synchronous distance-learning the same as online courses? Synchronous distance learning is designed to allow students and faculty to interact in different places during the same time period through video and web conferencing software. This allows students the flexibility of completing the program requirements from anywhere. All international affairs core courses and many elective courses are available in a synchronous distance-learning format. No international affairs core courses, are currently offered online in asynchronous distance-learning formats but few online courses offered by Rockefeller College and other University at Albany graduate programs may be counted to MIA program elective requirements. What is your minimum/average GRE score for the MIA program? The MIA program does not have official minimum scores. Average GRE scores for students admitted into Rockefeller College's other professional masters program, the Master of Public Administration, are in the 64th percentile for quantitative and 58th percentile for verbal. The average score on the writing section is 4.5. GRE waivers are available for qualified students. Please contact rockadmissions@albany.edu for a waiver request form. The MIA program does not have an official minimum GPA. We will review relevant undergraduate coursework, and will consider a GPA over 3.0. What majors and/or experience are recommended? All applicants regardless of major/experience will be reviewed. It is anticipated that many applicants will have studied economics, political science, international relations and/or history. An applicant who has majored in foreign languages and area studies will also be welcomed but the admissions committee would prefer the student has at least taken some courses in the above disciplines, especially in economics. What coursework is relevant to the MIA program? The International Affairs core curriculum includes economics and statistics. A student applying for the program should have quantitative coursework experience. This could include courses in economics, statistics and mathematics. Because we receive relatively few GMAT scores, the percentile is considered rather than the raw score. A score in the 50th percentile or higher is preferred. Yes, we will accept LSAT scores in lieu of GRE or GMAT for International Affairs applicants under certain conditions. The LSAT may be accepted in lieu of GRE scores when an applicant has taken two or more quantitative courses at the undergraduate level and earned a B or better average in those courses. Scores must be less than five years old. Please contact our admissions staff at RockAdmissions@albany.edu regarding details and course approval. Should my letters of recommendation be strictly academic or are professional recommendations acceptable? It depends on your experience. If you are a current undergraduate student or recent graduate, we would expect at least one academic recommendation. However, we understand that working professionals may only have access to professional references. We suggest that you choose the recommenders that can best speak to your preparedness for graduate school. A maximum of 24 graduate credits can transfer into the MIA program. Courses are considered for transfer on a case-by-case basis. Can I complete the MIA program part time? Yes, students in the MIA program can take classes on a full-time or part-time basis. Regardless of your intent to be a full-time or part-time student, the same application form is used. Can I work full-time while completing my MIA degree? Yes, the program is designed to allow students to attend the MIA program part-time while working full-time. International Affairs courses are offered almost exclusively in the evening, meeting once a week starting at 5:45 pm. How long is the MIA program (on full time and/or part time basis)? The MIA program should take two years to complete on a full-time basis; three courses per semester is considered full-time. Part time students averaging two courses per semester should complete the program in three years and they have up to six years to complete their MIA degree. Is work experience a requirement for the MIA program? Work experience is not required for admission to the MIA program. However, any previous work or internship experience will be considered during the application review process. Students take five elective courses, at least three of which must be taken in a single International Affairs concentration. Students should choose a concentration based on their career goals and should work closely with an advisor to determine which concentration best matches their professional interests and to identify the specific courses they will take within that area. What is the cost of the MIA program? Rockefeller College is proud to offer the most affordable tuition among its peers. Whether you already qualify for in-state tuition or are an out-of-state student, Rockefeller College has the best tuition value among all top 25 public affairs schools. Out-of-state tuition for the MIA program is less than half that of most professional international affairs programs offered by private U.S. universities and among the lowest of public universities. For a breakdown of the cost of attendance please visit: https://www.albany.edu/studentaccounts/tuition.php. Do you provide financial support for students? Unfortunately students applying for the MIA program are not eligible to be considered for Rockefeller College assistantships. Students may be considered for select University scholarships and fellowships. Applications must be received no later than February 1st to be considered for University scholarship opportunities. What are the opportunities available to international students? International students are welcome to apply for and enroll to earn their Master of International Affairs. However F-1 and J-1 visa holders must complete the entirety of the International Affairs coursework in Albany in order to comply with their visa requirements. Deadlines and information regarding application requirements can be found at https://www.albany.edu/rockefeller/admissions.shtml. Can I enroll in the PhD program on a part-time basis? While PhD students may complete a portion of the program part-time, at least two semesters must be completed in full-time residency. For additional information, please reference the graduate bulletin. What is the average time to completion for your PhD program? Most of our students complete the PhD program in 5.5 years. The University requires students to complete all requirements for a doctoral degree within eight calendar years from the date of initial registration in the program. What is your minimum/average GRE score for the Public Administration and Policy PhD program? While the Department does not have official minimum scores, GRE scores at or above the 78th percentile for quantitative and the 86th percentile for verbal are considered competitive. A score of 5 or above on the writing section is considered competitive. What is your minimum/average GRE score for the Political Science PhD program? The Political Science Department considers a number of factors when making admissions decision; thus, the Department does not have official minimum scores. What is your minimum GPA requirement for the Public Administration and Policy PhD program? The Department does not have an official minimum GPA. The average undergraduate GPA for accepted PhD students is 3.41 and the average graduate GPA is 3.78. What is your minimum GPA requirement for the Political Science PhD program? The Political Science Department considers a number of factors when making admissions decisions; thus, the department does not have a minimum GPA requirement. Do I need to do anything to be considered for funding? Yes, you must apply by January 15th if you wish to be considered for funding opportunities. What is the percentage of international students in the PhD programs? Approximately 60% of public administration PhD students and 30% of political science PhD students are international students. Do international students follow the same application deadlines? Yes. Deadlines and information regarding application requirements can be found at https://www.albany.edu/rockefeller/admissions.shtml. Do I need a US master's degree before applying for the PhD program? No, your degree does not need to be from a US institution. To be considered for admission to the PhD program, you must have at minimum, completed a degree program equivalent to a US Bachelor's degree. Do international students need to submit additional documents? 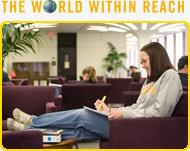 Since proven English proficiency is required to ensure success in UAlbany’s graduate programs, the TOEFL, the IELTS, or the PTE Academic exam is required for students whose native language is not English. An English proficiency test score is not required for students who submit official transcripts showing the successful completion (B or better average) of at least two full-time semesters of academic courses (not including English language preparatory programs) at a college or university in countries where English is the dominant language. Waiver of the score submission requirement is subject to review by the Office of Graduate Admissions. Students applying for non-certification TESOL master's program can have the English proficiency test score requirement waived if the applicant submits official transcripts showing the successful completion of 3 years of study in a degree program at a college or university in the U.S. and maintained a B or better average. Departmental program review staff may also reserve the right to require submission of scores as a factor in consideration of applicant eligibility for admission or funding. The University at Albany reserves the right to request proof of English proficiency on a case by case basis. What is your minimum/average TOEFL? The University's minimum TOEFL score is 79 (ibt). No applications will be accepted with a TOEFL score below the minimum. For accepted MPA students, the average TOEFL score is 95, however, students will not be considered for funding with a TOEFL (ibt) score below 100. PhD applications will not be considered for funding with a TOEFL (ibt) score below 100. TOEFL or IELTS scores are not required for students who previously have been enrolled for a minimum of two full-time semesters in a US college or English speaking institution. Do you accept IELTS in lieu of TOEFL? Yes. The University's minimum bandwidth score for graduate admissions is a 6.5. A score of 7.0 or higher is required to be considered for funding. Typically, the percentage of international students in the MPA program is approximately 30%. Approximately 60% of public administration PhD students and 30% of political science PhD students are international students. Do you provide assistantships or financial support for international students? Yes, international students are considered for assistantships and scholarships within the Department. These are decided primarily based on merit. What is the benefit of a graduate certificate? Graduate certificate programs are a great way to develop new skills without the time and financial demands of a master's degree. Certificate programs at Rockefeller College are very flexible, offering evening classes and opportunities for part-time study. Who typically enrolls in a graduate certificate program? There are three distinct audiences: 1) recent undergraduates who wish to explore graduate study options; 2) students enrolled in a master's degree at UAlbany who choose to add another credential; 3) mid-career professionals who are looking to develop a new skill set, refresh current skills, or pursue a new career path. How many credits are required and what does it cost? Can I apply credits earned in a certificate program toward another advanced degree? Yes. Because the classes taken in a certificate program are masters-level courses, they can transfer into other graduate programs. If you enter the MPA program at Rockefeller College after enrolling in a certificate program, all relevant MPA courses will transfer into the master's degree. Yes! Because graduate certificate students are matriculated students, you would be eligible to apply for federal and state loans. There are no scholarship or fellowship opportunities for certificate students. However, students can file a FAFSA in order to be considered for federal aid. For more information, please contact the University's Office of Financial Aid. You must have completed a bachelor's degree to enroll in a graduate certificate program. There are no prerequisite courses for the certificates. You will need to supply official transcripts from all undergraduate and graduate study to date. In addition, you will be required to submit a professional resume and a short statement of goals. GRE scores are not required for admission. The application deadline for fall is July 15. The spring deadline has been extended to January 1. Can certificate study be completed in one semester? Generally, no. The certificate requires 20 credits for completion (5 courses) which can be completed in two semesters of full-time coursework or extended over several semesters of part time study. If I'm applying to a Certificate Program, should I fill out a Degree Application or a Non-degree Application? Please use the Degree Application to apply for a graduate Certificate Program. Certificate students are considered to be "matriculated" students at the University at Albany.